This recipe is incredible. Definitely one of my family's favorites so I just have to share it with you! 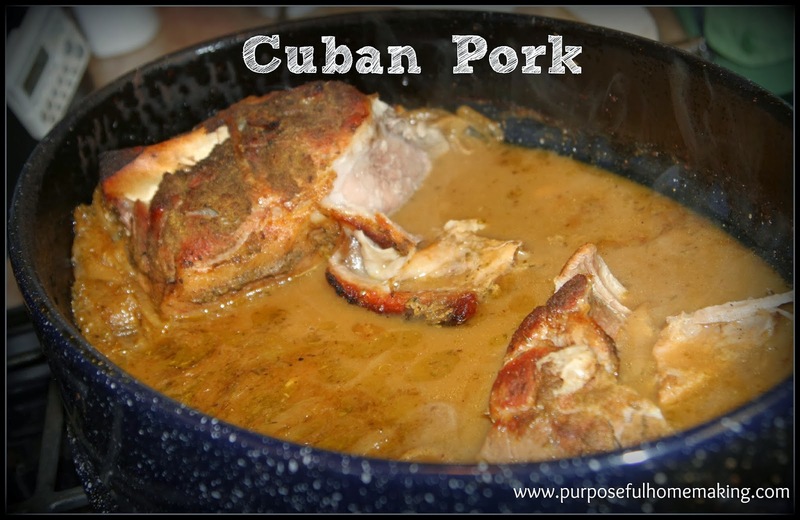 I got this recipe from my friend who got it from her sister who married a Cuban. So it's practically the real deal when I make it, too. Right? Stir ingredients and let sit for at least 10 minutes. Take a knife and stab the roast all over. Marinade meat overnight with the fat side down and keep that fat on! The next day when you are ready to put this hunk of tummy love in the oven, flip the roast so the fat side is up. Cook at 350 degrees for 45 minutes per pound. Check meat every so often to make sure that there is still liquid in the pan. If liquid is getting low, just add some more orange juice because you don't want the liquid to cook off completely. I have never had to add more though. I cook the bacon and once it is thoroughly cooked I add the beans to heat them through. (I keep the bacon grease in). Serve over rice.